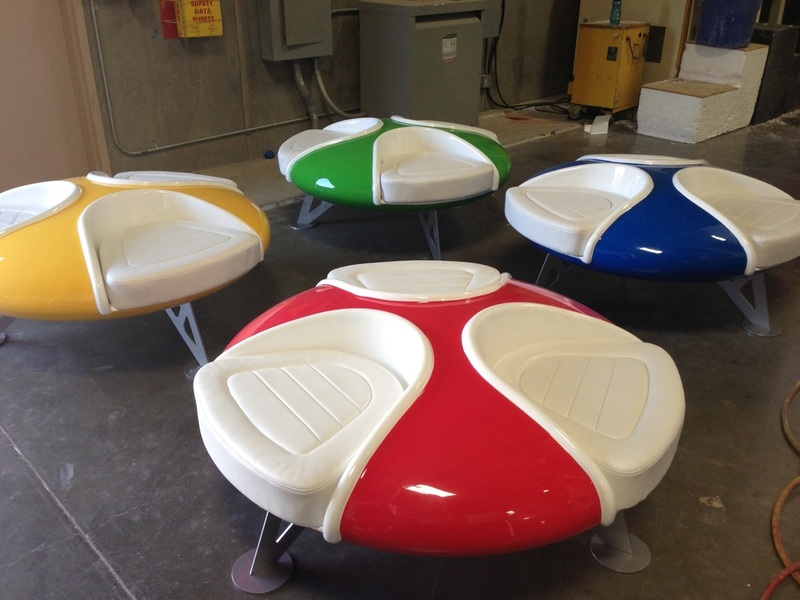 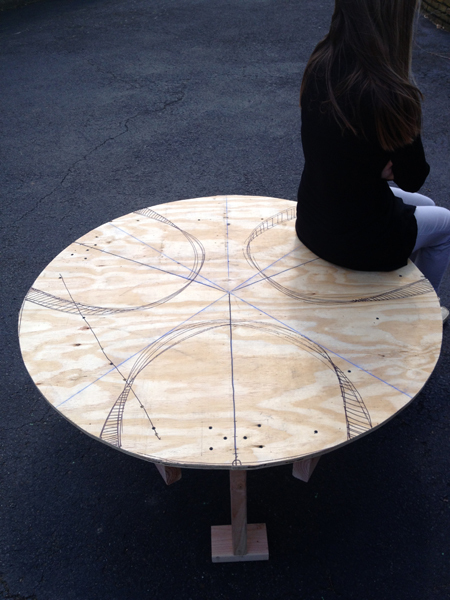 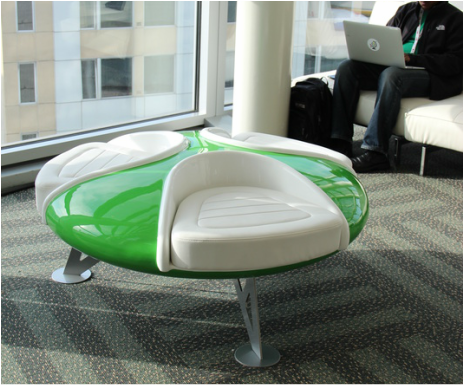 The Saucer Seat is a comfortable seating solution for events where Google executives gather to “moon-shoot” big ideas. 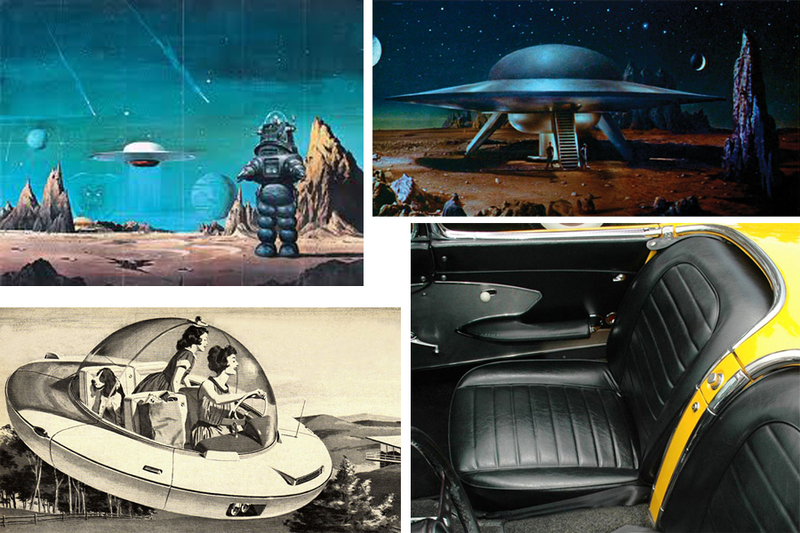 It's design is derived from iconic 1950’s science fiction and automobiles of the same era. 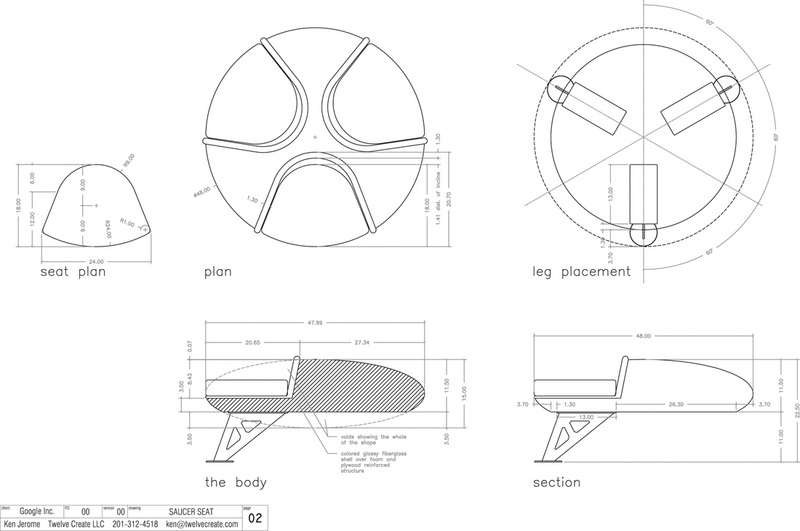 The process started with farming the internet for inspirational images followed by hand sketches that captured the look and feel of the seat. 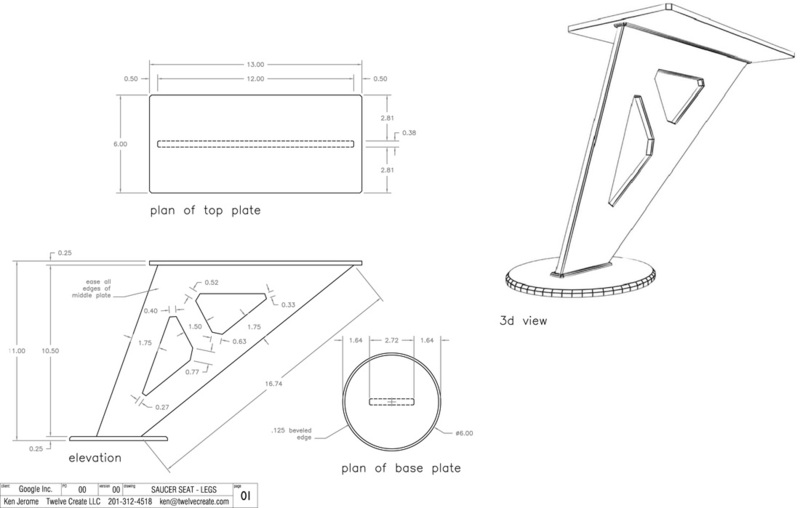 3D modeling and CAD programs illustrate the final shape and finish. 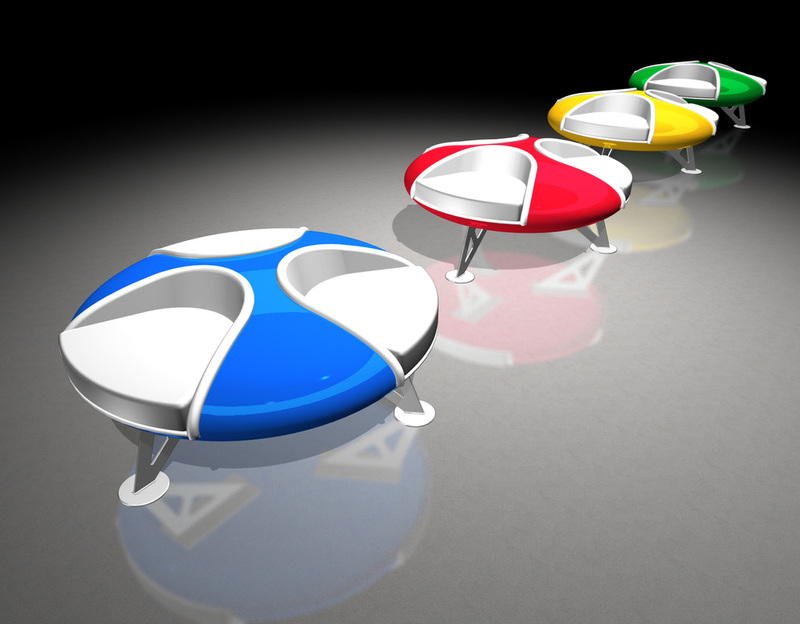 A primitive full scale Proof of Concept is built to test human factors and stability. 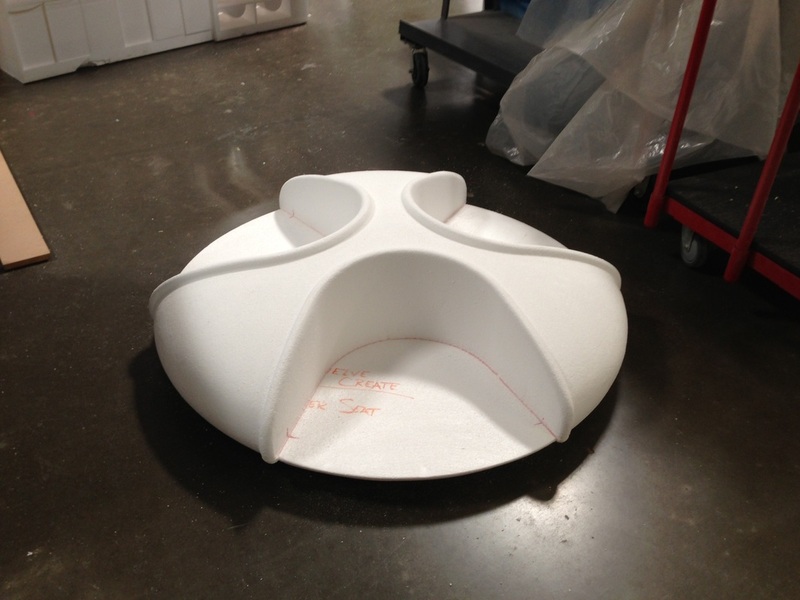 A prototype is sculpted in foam directly from the CAD model by a 5 axis CNC router. 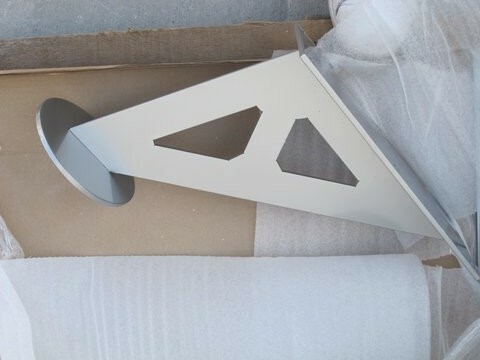 Legs are made from 1/4 inch aluminum and powder-coated in an industrial finish. 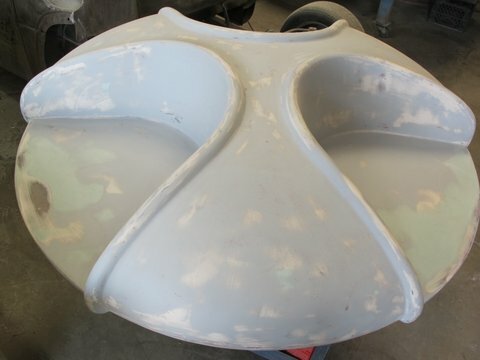 The foam seats receive several layers of fiberglass, resin, and are sanded multiple times to a museum quality surface. 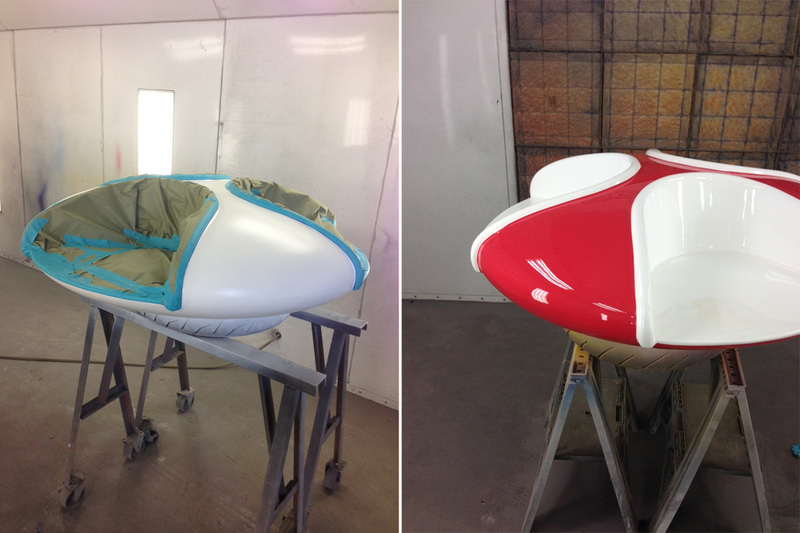 They then go into the paint booth for prime, paint and clear coat finishing. 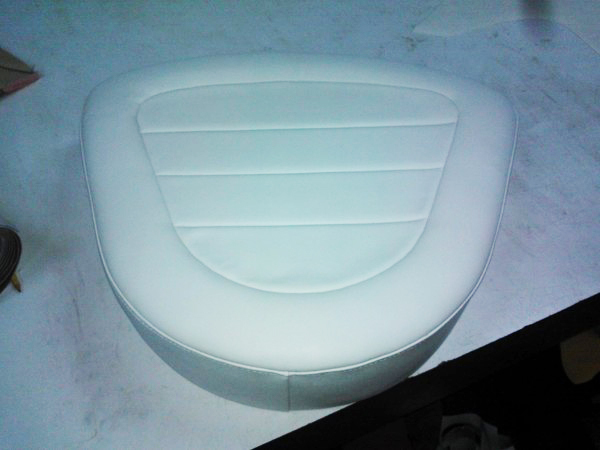 Seat cushions with hot-rod tufting arrive from the upholsterer and are installed. 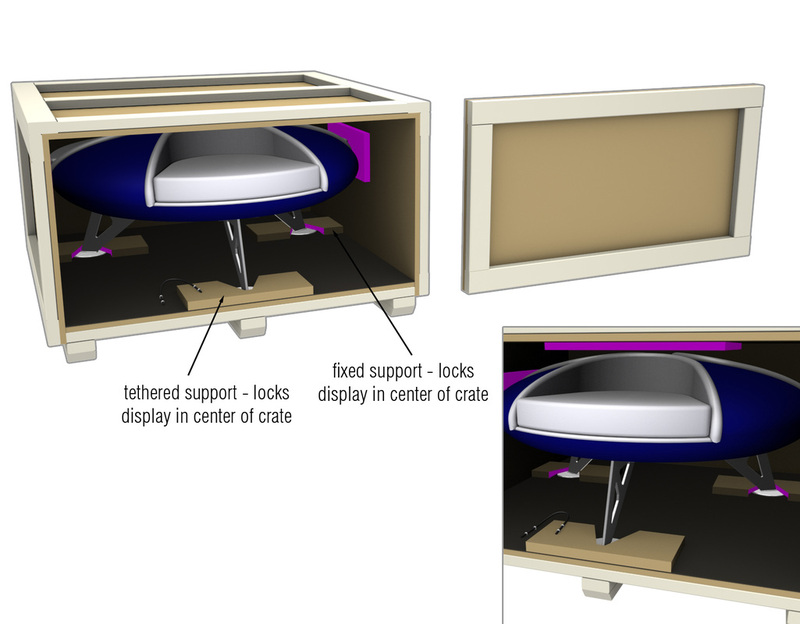 Reusable crates are designed to ease the packing process and give optimal protection during travel. 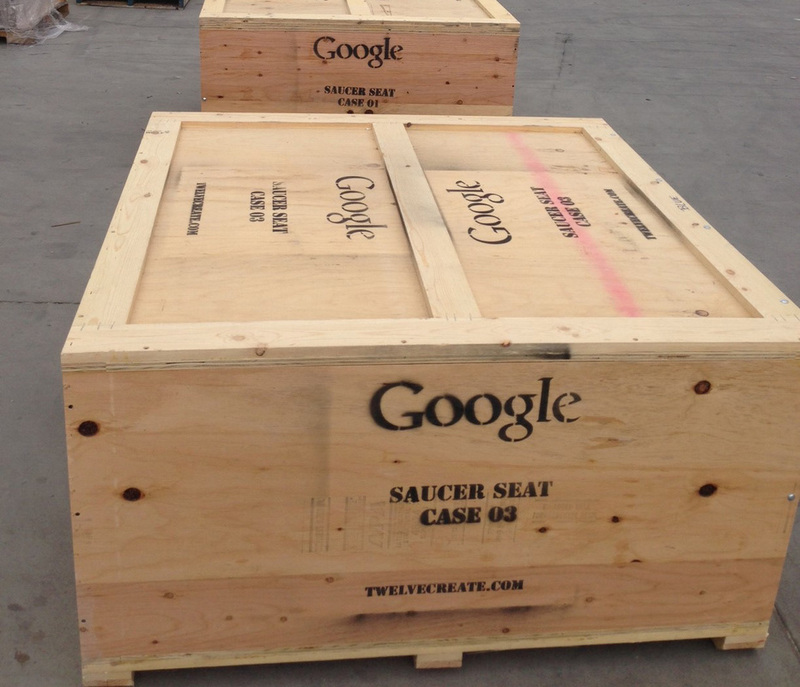 They arrive on site show ready!